Remember those who’ve served in the US military throughout history. Molly Pitcher (Mary Ludwig), an American Revolutionary heroine, loading a cannon at the Battle of Monmouth, NJ, June 28, 1778. Her husband has fallen from exhaustion beside the cannon. Painting by D.M. Carter, Sons of the Revolution. “Captains of three student companies” a voluntary company at the University of Michigan trains for Civil War service, 1861. The highly decorated 369th Infantry Regiment of World War I, an African American regiment. Eleanor Roosevelt with soldiers on Guadalcanal in the middle of World War II. This entry was posted in U.S. History and tagged civil war, revolutionary war, soldier, war, war posters, World War I, World War II on May 27, 2013 by jbcosca. The eternal teacher question: How do we get students interested in history? Engaging with students in diverse and creative ways is something teachers work to do on a daily basis. Taking the (let’s face it) sometimes dry facts of our textbooks and turning them into interesting and witty lessons that will inspire students, can be tiring, challenging, and downright frustrating. Why not take advantage of popular culture moments! 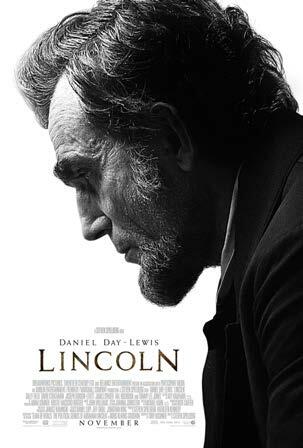 For example, today the Steven Spielberg movie “Lincoln” appears in theaters and offers a great opportunity to take a closer look at the Civil War. Connecting history with popular culture is an opportunity to open student’s eyes to the broader impact of historical events. What better way than a new movie to get students thinking of history as exciting and relevant rather than boring and outdated. Daniel Day-Lewis takes on the iconic role that depicts the last few months of Lincoln’s life, the decisions he made in regards to the South, and the difficulty of those decisions. But, will our students appreciate what led to these important moments? Will they understand the roots of the War before heading to the movie? To help them get more out of their cinematic experience, turn to the late Roland Marchand for inspiration! Over the years, Marchand created a variety of lessons based on primary documents for his university classes. Particularly useful to pair with “Lincoln” is Marchand’s lesson “Lincoln and the Outbreak of War, 1861.” In it, students analyze the events in the first weeks of Lincoln’s presidency to determine his role in the conflict. The high school version provides a “Cast of Characters” and their voices to help students write a history of the Civil War. For middle school, students examine a collection of documents designed to help them understand Lincoln’s role. Union recruitment poster, April 1861. Teachers can supplement this trove of written sources with images from the Marchand Archives. Notices announcing the Union’s dissolution, recruitment posters, and paintings of important battles provide fodder for discussion. For what reasons did individuals go to war and continue to fight? How did politicians express these ideas expressed to the nation? What impact did battles have on local communities? On the nation? Together, the document based lessons and the images, provide students with a solid background to help them better understand the movie. But more than that, analyzing historical sources helps students develop and hone the skills needed to become critical examiners of how history is interpreted through popular culture. This entry was posted in U.S. History and tagged civil war, national politics, pop culture, war on November 16, 2012 by jbcosca. The World Series is right around the corner and may provide an avenue to tap into students’ interest in sports to engage in a conversation about history. If you want to connect to the Civil War, currently in it’s sesquicentennial, you might have students look closely at this Currier and Ives depiction of the 1862 World Series and see if they notice anything different (i.e., the pitcher is pitching underhanded). To go deeper into the Civil War consider making use of resources in the primary source set, Baseball Across a Divided Society created by the Library of Congress. New York boys playing baseball in an alley, 1910. Beginning in the 1890s there was increasing agitation for small parks and playgrounds to get the city’s children off the streets. For industrialization in the early 20th century have students consider this Lewis Hines photo of children playing baseball in a new York City alley and how it contrasts with this one from around the same time of children playing baseball in Central Park. What do these two images tell us about society during this time? What are some ways you tap into your students’ interests like sports, music, etc. to get them engaged about history? Tell us about it here. This entry was posted in U.S. History and tagged baseball, civil war, Industrialization on October 23, 2012 by jbcosca. Here is an image of South Carolina’s ordinance of secession from December 20, 1860 – the first action initiating the America Civil War (1861-1865). South Carolina was the first state to secede of those who eventually comprised the Confederate States of America. In early November 1860 Republican candidate Abraham Lincoln won the presidential election. Lincoln’s election was really the final straw for Southerners upset with the divergence in politics and economics between the North and South. The election of a Republican candidate opposed to the expansion of slavery whose name did not even appear on ballots in Southern states, scared white Americans of the South. Southerners wondered, “How much control did northerners have over the political stage of the country?” In their minds, the only way to check the power of the North was to secede. This was a very bold statement. The ordinance bluntly put states’ rights above federal rule by removing the state and its inhabitants from this binding contract. In the next thirty-six days, five states (Mississippi, Florida, Alabama, Georgia and Louisiana) followed in South Carolina’s steps issuing their own ordinances of secession. The country began to split at the seams following the issuance of this document. It is amazing that a pronouncement of so few words would have such a lasting legacy on our country and indeed our world’s history. This is a good document to use in teaching the Civil War, either on its own or in conjunction with other documents. The source sparks questions of why southern states seceded and if the words printed seem to illustrate that its authors understood the consequences of their actions. Would they have written such bold words had they known the four years of bloody warfare and eventual defeat to come? Also, in being so sparse in their wording, what were the authors not saying? The vague wording left the future of the South and the Confederate States of America wide open for interpretation. This entry was posted in U.S. History and tagged civil war on April 25, 2012 by jbcosca. Luci Petlack, graduate student in the History department at U.C. Davis, shares her thoughts about “Draft Riots on Lexington Avenue, New York City,” from Frank Leslie’s Illustrated Newsletter. This image depicts a scene during the July 1863 New York City Draft Riots where white rioters attacked the homes of abolitionists, set fire to the Colored Orphan Asylum and brutally assaulted black individuals. These rioters targeted symbols of Republican Party rule who they viewed as the instigators of the war. Numbers vary, but scholars estimate about 500 deaths (mostly rioters) and well over $1 million property damage. Two years into a war that Americans, North and South, thought would end in a few months, the Union government turned to the draft to enlist more men in their army. The Conscription Act that began the draft allowed individuals to pay a $300 bounty for a replacement. For members of the working class, $300 was about one year’s salary making the bounty out of their reach. The draft itself upset many people, but riots exploded in the summer of 1863 because of the class tensions the bounty exacerbated. Workers, many of them immigrants, felt the rich men of the North, namely Republicans, were using the lives of the poor to fight the war. Newspapers around the country covered these draft riots with the same interest as many of the battles during the war. This image is great for learning and teaching about the American Civil War for a few reasons. The Civil War immediately brings battlefields and generals to mind. This image shows the oft-neglected home front. Interestingly, it wasn’t just on the fields of Gettysburg and Vicksburg that violence emerged because of the war. By this point in the war, violence had become the norm, regardless of an individual’s status as soldier or civilian. The whole country was truly involved. Second, this image shows that there were northerners opposed to the war. Oftentimes students create a dichotomy between the slave-owning South and the abolitionist North – a split that never existed. It is important for students and teachers to understand the complicated tapestry of sentiments during the war. Iver Bernstein, The New York City Draft Riots: Their Significance for American Society and Politics in the Age of the Civil War (New York: Oxford University Press, 1990). Bernstein argues that the riots were an effort of working-class individuals to assert their power against their competition (black laborers) and against members of the higher classes. Adrian Cook, The Armies of the Streets: The New York City Draft Riots of 1863, (Lexington, KY: University Press of Kentucky, 1974). Cook portrays the insurrection as an outburst by the lower classes against government control. James McCague. The Second Rebellion: The Story of the New York City Draft Riots of 1863. (New York: Dial Press, 1968). McCague believes that Irish struck out at rich whites and blacks with a comparable hatred, expressing their dissatisfaction with labor opportunities and chances for success. Jack Tager, Boston Riots: Three Centuries of Social Violence (Northeastern University Press, 2001), 133-139. This short section provides details of the draft riots in Boston. This entry was posted in U.S. History and tagged civil war, home front, society on April 9, 2012 by jbcosca.